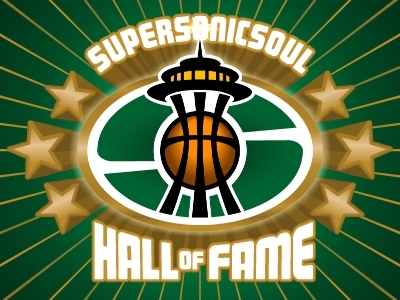 The Bataan Death March that is the Seattle Supersonics 2006-07 season is reaching its end, with only a home game against the Mavs remaining. With the twin losses to Portland and LA over the weekend, the Supes are sitting pretty in the #5 spot. And yet, I'm having nightmares of this guy. Rick Sund wouldn't pick another inexperienced big man with the first pick, would he? Al Horford, Julian Wright, Yi Jianlian, Corey Brewer, Jeff Green, Roy Hibbert, Mike Conley (please, please), Spencer Hawes, and all the other stiffs. Who should they pick? Let's start the ruminations. I'm for trading down and taking either Green or Brewer, then dealing Rashard in a sign-and-trade (possibly combining those two into one deal). It looks like the Sonics have a special offer for the last game of the year. Only $20 gets you 2 of the best seats in the house! (Excluding Courtside) This promo is not public so forward it on and take advantage of it while you can. Its Fan Appreciation night so they should be giving away tons of prizes too! I'm not nearly as against Yi assuming his age is correct. But I think when it is all said and done, we will be maddeningly frustrated by Brewer or another underwhelming big man ala Hibbert or Hawes. I just loathe the potential for Noah to be picked up.. .that would make me sick. And I'm afraid his teammate Horford is undersized for his skillset. And is redundant with Wilcox. Basically, we pray we win a bubble ball. (Ideally number 1 with the ATL getting a 2nd, so PHX doesn't get a lotto and the rich don't get richer. How 'bout taking Horford and then trying to unload a combination of Ridnour/Watson/Wilcox/Petro/Swift/Collison/Lewis? I just played ESPN's mock lottery seven times, and four of those seven times the Sonics landed the #1 pick and took Greg Oden. The other three times, we had the #5 pick and took Yi. 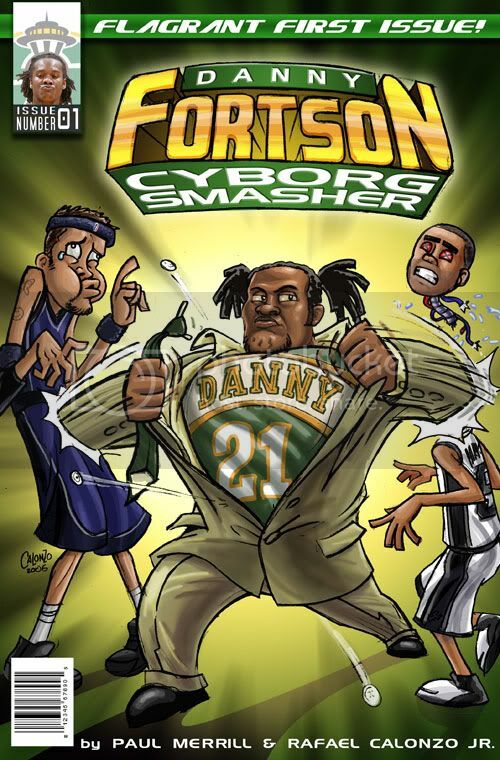 I can't help but think this pretty much sums up our fate: land a lucky ping pong ball and get Oden, or let Rick Sund torment us with another inexperienced big man. When it comes to Rick Sund, I'm oppposed to "upside." I still believe 2 of the 3 young bigs will turn out fine. Not sure which 2, but the Sikma individual coaching and the effort and energy they put into developing them bode well. Consider-- they are all still VERY young and would be college players right now, had that been their career paths. And if you put Sene, Swift and Petro in the NCAA's and watched them dominate lesser talent, you would see them be among the top of the lists of pre-draft players. Now, as for Horford, I was trouble by how difficult a time he had posting up against Odom. Yes, he plays hard, but he is a 6'8" PF and looked undersized against Odom's NBA frame. He dominated against lesser players, and he also had superior talent around them, further adding to the discrepency in appearances of success. I'm not saying he wont be a solid player, but I question how above average he will be. You may just get most of your wish there. But God, let's hope we hit that lotto! Yi can play. He is a much better BASKETBALL PLAYER than the guys we have now. All the training in the world won't help most projects. The problem has been that we have been drafting big guys who aren't good basketball players. I think it would be a big mistake to pass on him. Sonics are dead. Next season will be their las.